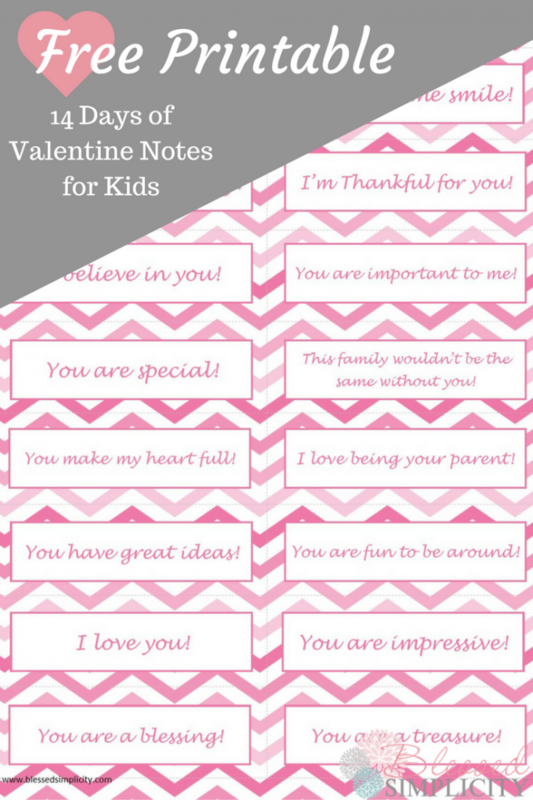 Send Valentine notes to your kids with this Free 14 Days of Valentine Notes for Kids printable from Blessed Simplicity. Show your kids how special they are. These notes are great to show how loved and valued they are to you.